From the 7th to the 12th of November, in Riga, the MakeDesign Riga – Dutch Design made in Latvia workshop took place, getting together students from the Design Academy Eindhoven and the Academy of Arts of Latvia to collaborate in projects with different craftsmen from the country. It consisted of an intense week of collaborative work in order to deliver several products and projects, to be exhibited the last day on a pop-up exhibition on the the Birza Museum, which also served as a working space for the diverse working groups during the week. Saruna ar mākslas un dizaina kritiķi, kuratoru un pedagogu Janu Bulenu (Jan Boelen, Beļģija, 1967), kurš Rīgā viesojās novembrī projekta Make Design! Dutch Design Made in Latvia ietvaros un arī uzstājās ar lekciju par jaunām dizaina definīcijām. Jans Bulens ir Eindhovenas Dizaina akadēmijas Sociālā dizaina nodaļas vadītājs, kopš 2002. gada viņš vada laikmetīgās mākslas centru Kunstcentrum Z33 Hasletas pilsētā Limburgas reģionā, kas kļuvis par nozīmīgu Beļģijas mākslas un arhitektūras norišu centru. 2012. gadā tas uzņems Eiropas laikmetīgās mākslas biennāli Manifesta. Dienu pirms radošo darbnīcu noslēdzošās pop-up izstādes atklāšanas, Rianne Makinka tikās ar Arterritory.com un sarunā atklāja savu šodienas un rītdienas dizaina vīziju. Saruna notika Latvijas Mākslas akadēmijas telpās pēc īsas, iepazīstinošas ekskursijas LMA nodaļu darbnīcās. Patīkami pārsteigta par koktēlniecības darba telpā redzēto, viņa cieši piesaka glabāt līdz ar akadēmijas dibināšanu uzstādīto – jau 90 gadus veco, koktēlniecības nodaļas mašinēriju, savukārt sarunā viņa atklāj, ka latviešu salmu puzuru trauslumā viņa saskata nākotnes dizaina aprises. Victor is a master of wicker weaving and his working experience is more than 20 years. This profession he learned from his wife and now it’s not only a soul job but income source. 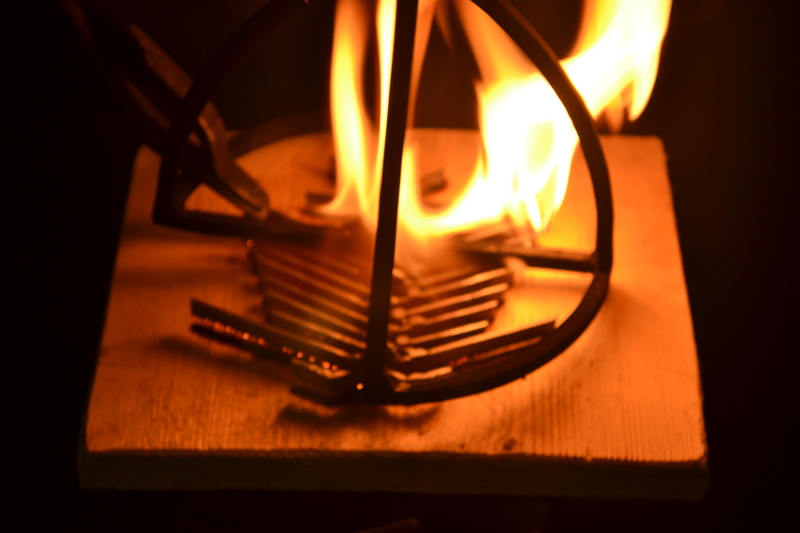 He has made different objects, starting from weaving traditional baskets, furniture to light objects. He has worked with designers helping them to realize their ideas. There are full of different kinds of wicker, working tools, weaving objects and wonderful atmosphere in his workplace. On the first week of classes at my recently started MDes Social Design programme at the Design Academy at Eindhoven, besides design, the most mentioned word has been crafts. Sometimes as something that supports designers in a positive way, and in other cases as a burnt cliché that misleads designers on trying to achieve authenticity. The master blacksmith Vilnis Vincēvičs started to learn the craft as a teenager out of curiosity. He met old masters who had practiced blacksmithing since Tsarist Russia times, and became an apprentice. Since then, his whole life is devoted to iron.